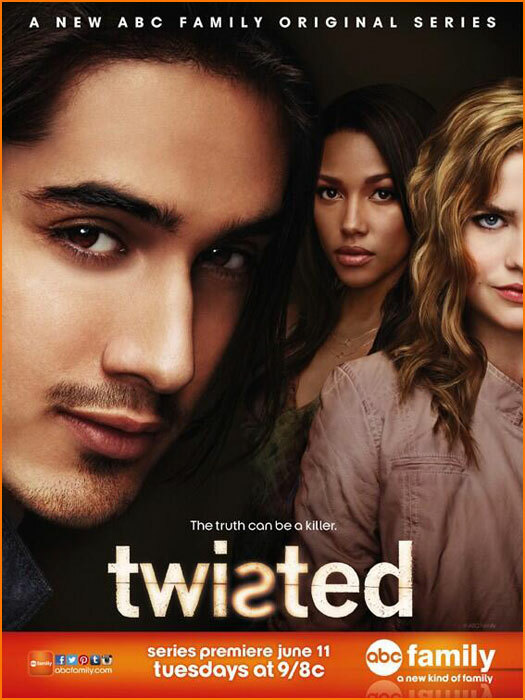 Twisted – How twisted can ABC Family’s new TV- show get? The Story: Lacey (Kylie Bunbury), Tess (Maddie Hasson) and Danny (Avan Jogia) used to be best friends. But that changes the day when Danny seemed to have killed his aunt, and goes to jail. Lacey’s and Tess’s friendship tears apart and the blamefull looks from the whole town takes the best out of them. Now they are in High School and seem to have their lives under control again, but Danny recently got out. The reason of why he killed his aunt is still a mystery, and even though Tess and Lacey try to stay away from him, the curiosity soon brings them back together. Review: Twisted has a fresh and relatively new cast that convinces with their great acting skills and good looks. The story is twisted, indeed, and makes you want to find out the truth behind the death of Danny’s aunt. Denise Richards as him mother is a nice choice, too, however, I noticed her face has become really stiff and she has to rely a lot on her eyes. Botox job gone wrong? Or is that what Botox is supposed to do? Anyway, it doesn’t really matter, because she is a good actress. Twisted is a perfect Tv-Show for the summer with an interesting storyline that has hopefully many twists coming. ****UPDATE 14 JULY:**** After 5 episodes I find myself getting a little bored, ABC Family is dragging the content too much and it doesn’t seem to go anywhere right now. I will still be watching, but if we are at the same point in 3 weeks, I might stop. But I am still hoping for a big reveal! Mortal Instruments – Are Zombies and Vampires are out now ? Pingback: Twisted Episode 8 recap – Why are they dragging the story? | Simon Says... WATCH THIS! I just watched an ep of this show on Hulu this week. It was really good!